The Xenodu platform is being utilised by the NHS (National Health Service, UK) with custom-designed interactive virtual environments to assist cognitive behavioural therapy (CBT) for anxiety disorders and intellectual disabilities. This ongoing collaborative project has involved long-term research and development partnerships with the University of East Anglia and Norfolk & Suffolk NHS Trust as well as other academic research partners and NHS Trusts. Drawing on a multi-disciplinary network of expertise in Psychology, Video Production, Computer Science, Electrical Engineering and Human-Computer Interface Design, this project aims to investigate the feasibility and effectiveness of our platform as a novel computer-based system for psychological therapy, social skills learning and rehabilitation. • Providing the opportunity for systematic practice and improvement of competence in social skills such as conversation or body language. • Building self-awareness and self-assurance to enable exposure to real-life events which would normally present challenges or create anxiety. • Challenging anxiety-driven misperceptions of self. • Enabling understanding that anxiety can be perpetuated by avoidance strategies and inaccurate interpretation of events in feared scenarios. • Demonstrating that anxiety declines when exposure to feared scenarios is practiced whilst inhibiting impulses to avoid such situations. Controlled exposure therapy sessions for social anxiety and intellectual disabilities with patients in NHS clinics have utilised our custom-designed hardware installations with over a hundred virtual environments (2-7 mins in duration) including public speaking, public transport, shops, streets, parties, bars, cafés, speed-dating, medical consultations and a job interview. A range of psychological therapies and learning-related applications are currently undergoing further research and development using the Xenodu platform. For more details about clinical research please feel free to get in touch here. The UK national media have been reporting on our innovative virtual therapy system for social anxiety and intellectual disabilities, developed through new research by the University of East Anglia and other academic partners with the NHS (National Health Service). Virtual answer for the socially anxious. 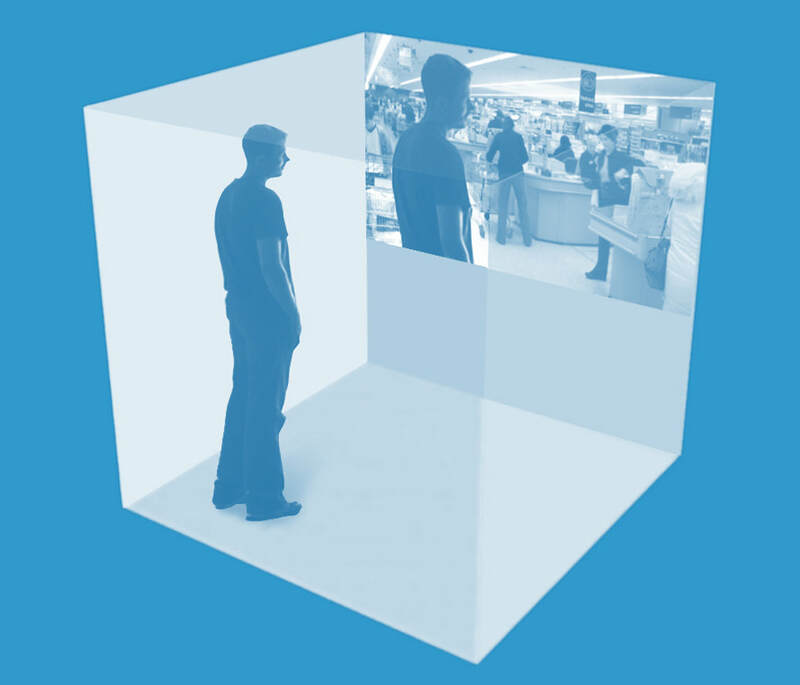 Virtual environments help treat offenders. Out-of-body virtual scenarios 'help social anxiety'. Our work with the NHS has included various interactive learning projects to help protect and promote public health in the community. Pledge 2012 was initiative run by Active Norfolk in association with Norfolk & Suffolk NHS and used the Xenodu platform to celebrate the London Olympic and Paralympic Games by inviting members of the public to participate in a county-wide legacy project. Through the use of custom-designed Pledge 2012 Pods at events throughout Norfolk, participants were asked to make a pledge against a special Olympics-themed video background and were able to see themselves running around an athletics track or cycling around a velodrome. Pledges ranged from simply committing to take regular exercise, to healthy eating or doing something specific such as taking up a new sport or running a half marathon. Each pledge was then uploaded to an online interactive map of Norfolk on which participants were able to zoom in and watch their pledges and those made by others. Our ongoing collaboration with Surrey and Borders NHS involves the development of the UK’s only virtual patient Technology Enhanced Learning system that uses virtual humans to train medical practitioners how to be better communicators with patients and colleagues. This innovative project aims to promote curiosity driven learning in order to change behaviours and build empathetic practice by giving learners a licence to fail and learn from their mistakes in a safe environment through using simulated high-stakes scenarios. This involves the development of authentic virtual characters with believable personalities, diverse points of view, detailed back-stories, family backgrounds and medical histories, all taken from real-world scenarios.